When sweet little faces ask dauntingly sad questions like, “Will we drown when the ice caps melt?” or “How do rainforests work, and where will the animals go, mom?” Be ready with simple, educated answers from How Stuff Works. Check out Ten Ways To Save the Earth, along with video snippets on hybrids, electric cars and a fun clip on the EV Challenge, showing middle schoolers racing mini-solar car creations and high schoolers revving up their electric large scale versions. Kids love edutainment? At the BBC Scotland site, they can become environmental agents of the Environmental Intelligence Unit, “spy kids style.” NASA Kids’ Club has all kinds of planetary science games and rocket stuff too, plus a nice little video on the necessity of water. Earth awareness educators will LOVE Teach-nology’s web portal at EarthBalloon, which is overwhelming with its roundup of resource links. Then there’s the jeopardy style 101 Amazing Earth Facts Game which skews to any age range, and Sesame Workshop’s ‘Growing Together on Earth Day’ links. Oh! And remember when we wrote about marketing hope with the Digital Earth Symposium and green video contest at Convenient Truths? Well, the winning movies are in, and they’re fun, free, and green! The adorable music video, “Little Guy” took the grand prize. EarthDay music on MySpace offers an open resource site encouraging original submissions where you can align with all kinds of green friends…Treehugger also has great picks for eco-friendly social networking spots, and you’ll find more on aggregated hubs like Greenedia. There are eco-tribes of all kinds, including free swap sites to trade goods in ‘new to you’ style, like eSwapIt. Overwhelmed yet? Don’t forget the obvious channels like CurrentTV’s Earth pod, ThinkMTV’s environmental clips, and the Green TV channel in beta that’s partnering with UNEP (United Nation’s Environmental Programme) that has specialized hubs for Kids and Teens. Articles like this recent Canadian poll of close to 2000 teens show the majority felt it was ‘too hard’ to put eco-consciousness into practice. 77% of them don’t turn off the computer when it’s unused, 44% don’t always separate recycling from trash, and only 41% reuse their water bottles. Hmn. Does this mean kids are talking a good game but not acting upon it? Engaging in causes for social reasons, but not following through in pragmatics? What’s happening in YOUR home? I know I’m TOTALLY guilty of the ‘always wired’ media environment, but am steadfast in vigilance in the ‘reduce, reuse, recycle’ realm. Seems the origins of Earth Day are clear as mud to many, the sustainability actions are often rhetoric over reality…and though media, marketing and mindfulness is converging with youth, we’ve got some bipolarism in youth pop culture as consumerism rams heads with recycling. BUT we need to remind all ages that Earth Day is not a once a year shindig to oooh and ahhh at giant globes then backslide into ‘casual crusader’ mode the remainder of the year. Kinda reminds me of my granola chomping, trail mix toting, wheat germ snarfing brother who’d ping on me during my college dorm days and admonish me for M&M Peanut candy as he grabbed a handful heading out the door. No can do, folks. It’s not a one day gig. That said, coast to coast, events are ramping up to be a doozy. In New York, Grand Central looks like quite an earth soirée. And the EPA has Regional events listed by sector (S.F. Bay Area is “Region 9: Pacific Southwest” which includes Ca., Az., Ne., Hi., and Guam) so you can probably find nearby events with ease if you’re in the USA. SO…I’ll cluck like a mother hen and scratch up some earth seeds to remind that media’s a fabulous springboard to make going green a scalable movement…but nothing beats unplugging altogether for a simple eco-picnic and clean-up with kids to share the message of the great outdoors. Enjoy! P.S. 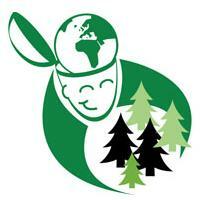 Please ping us with updates of what’s happening in your home…are kids eco-savvy earlier? Are corporations getting on the bandwagon for ‘greenwashing’ or is there genuine, sustainable momentum here? Do the kids (and companies) follow through? Do you? Sound off…how can we best make environmental messaging “stick” among all generations on a global scale? Ideas? If you continue posting well written articles such as this then I’ll keep on heading back to your webpage. Amazing information.